Aidan is turning 3 years old in just a few weeks. It is actually a really scary thought for me. I’m still in shock that I not only have a little boy, but another little one on the way! It feels like just yesterday that I was in grade school. Now I am responsible for making sure that my son is ready for one of the biggest moments in both of our lives, his first day of kindergarten. While Aidan is still a few years away from actually being enrolled in school, I feel like I need to start preparing him now for what is to come. Kindergarten readiness doesn’t mean that your child has to perfect a single skill set, rather, they must have a well rounded set of skills. Language: We all talk to our children, but now it is time to really talk to our children. Language development is important for your child’s independence, social skills, problem solving skills and more. Once your child goes to school, they will be faced with every day problems that require solutions. Their day will be much smoother if they are able to clearly speak to these problems in order to find a solution. Social Skills: All children need to be socialized, beginning as early as only a few months old. If your child does not have any play mates his or her own age, it is probably a good idea to find some. Socialization is an important piece for kindergarten readiness. Your child will be forced to socialize with other children, and his will be a tough transition for them if they are only used to being around adults. Try a local park or search only for a play group in order to get your child that interaction they need. Read Books: Glorious books. Books are an amazing way for children to learn basic objects, letters, numbers, colors, shapes and all sorts of other things that they should be learning. Get your child involved while you are reading to them. Point to the letters and words to teach them the connection between the printed words and the words that are coming out of your mouth. Educational Games: Games will always be the favored way for children to learn. They are perfect for keeping children entertained, while also filling their little minds with loads of information. Educational games, such as the Get Ready for Kindergarten LeapFrog LeapPad Learning Game, make learning fun and interactive! Preparing your child for kindergarten is one of the most important things that you can do for them as a parent. School is where kids will be taught not only an education, but also values, morals and how to fit in as a member of society. 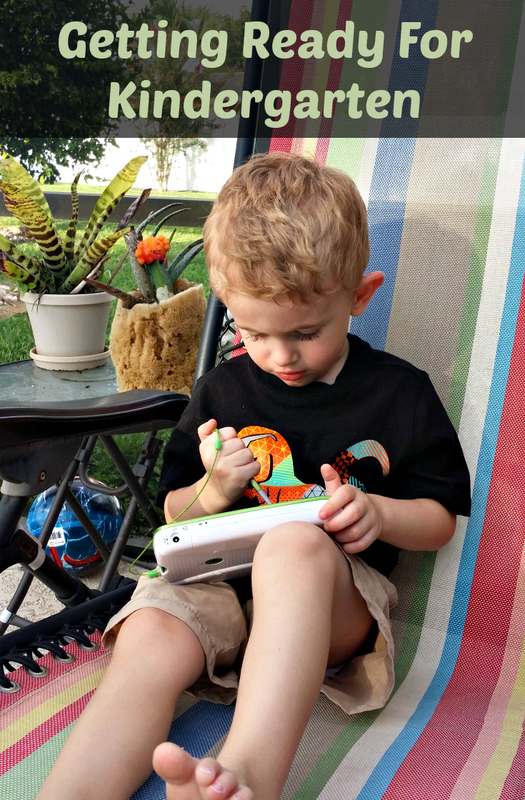 Aidan was given the opportunity to try the LeapFrog LeapPad 2 Power Learning Tablet and Get Ready For Kindergarten Game Pack. He is absolutely obsessed with his new game, and so am I! I love watching the little light bulb go off and seeing that twinkle in his eyes when he finally understands something. 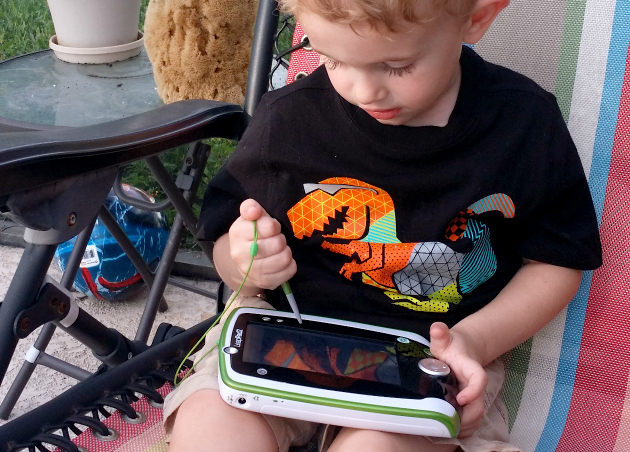 The game is perfect for him, being that it is suitable for ages 3-5 years old. He can choose to learn letters with Ozzie Otter and Friends, practice his math skills at the Dragon Cafe or practice his daily routine with Stretchy Monkey. Aidan’s favorite thing to do so far is play with Stretchy Monkey. He loves monkeys and he loves brushing his teeth, so he thinks is hysterical that he can brush the monkeys teeth, too! As a side note, I am loving the fact that the Power Learning Tablet comes with rechargeable batteries! If you are looking for more ways to get your child ready for kindergarten, LeapFrog has a great resource center! You can also find LeapFrog on Twitter, Facebook, YouTube and Pinterest! How did you get your child ready for kindergarten?